I made the decision to not race to my Garmin GPS at around the 25km mark. Prior to the 2014 Capital Punishment I had been carefully monitoring my heart rate, average speed and split times during training rides and races. Every time I got on a bicycle and started riding I would keep my eyes glued to that little LCD display that was telling me all the information I thought I needed to know while riding. Sure, there is some data that is useful while riding, but the majority of what a GPS/cycling computer can offer is done in post ride analysis. 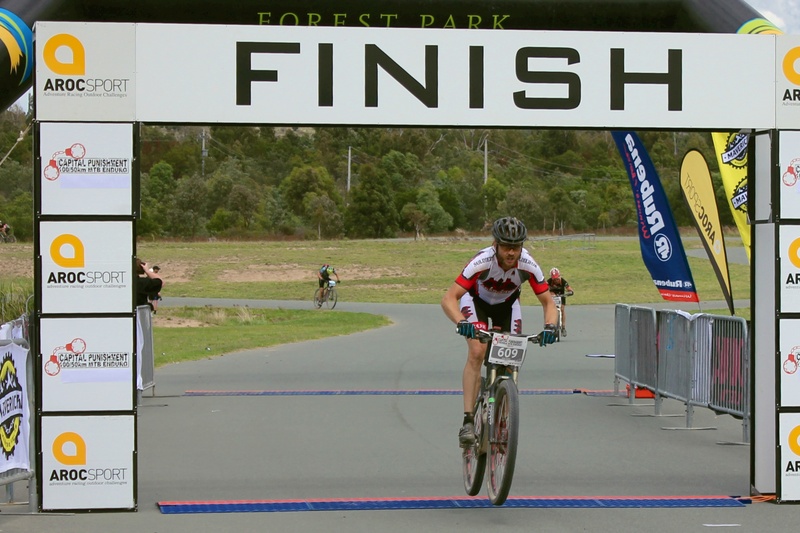 My preparation for this year’s 100km event was somewhat ideal; some long road rides leading up; but probably not enough mountain bike endurance riding in my legs at the same time. Between December and February I had been training quite intensively for the Easter 24 Hour Solos. Alas, the race was cancelled for a variety of reasons and my motivation to train came to an abrupt halt. My 400km weeks dropped to 200-250km weeks; while not exactly a tiny amount of riding, it was a struggle to get the bike out of the garage some days. Couple this with one of my more impressive (read painful) crashes at the AMB 100 and I had effectively misplaced my Flow. 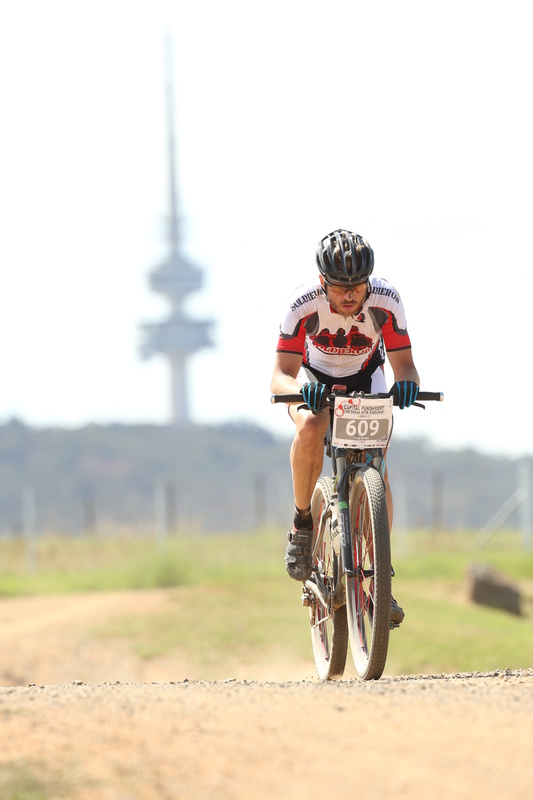 I needed something to look forward to and that came in the form of a 100km marathon race taking in the best of Canberra’s single-track and a few killer climbs. 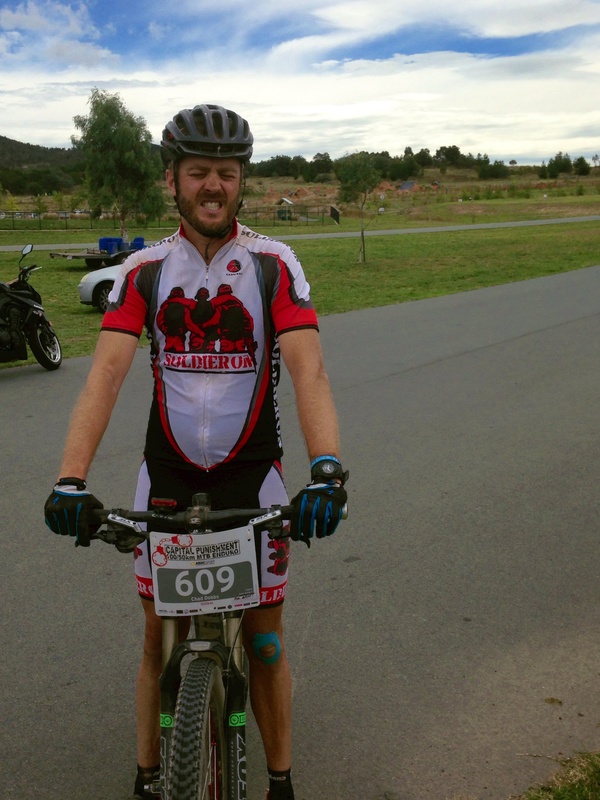 Plus this was my first race in the new Soldier On cycling kit so I was excited about that. 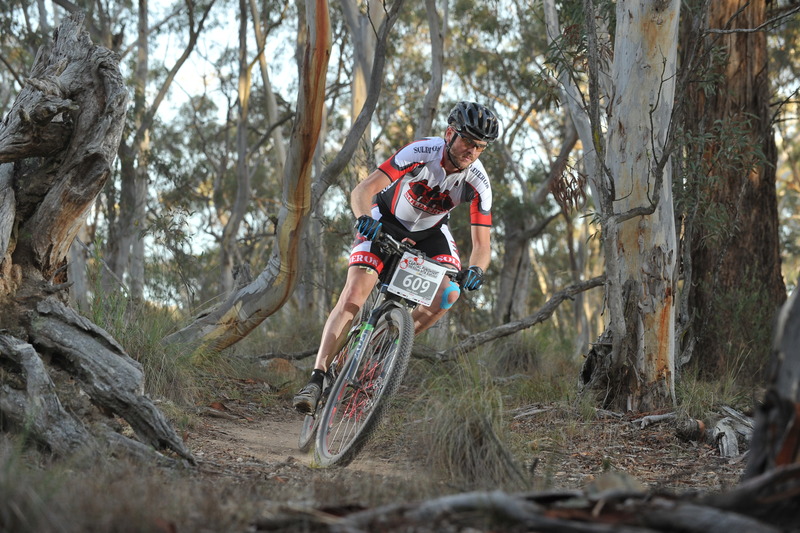 Last year’s Capital Punishment was my first 100km mountain bike race and I loved it. 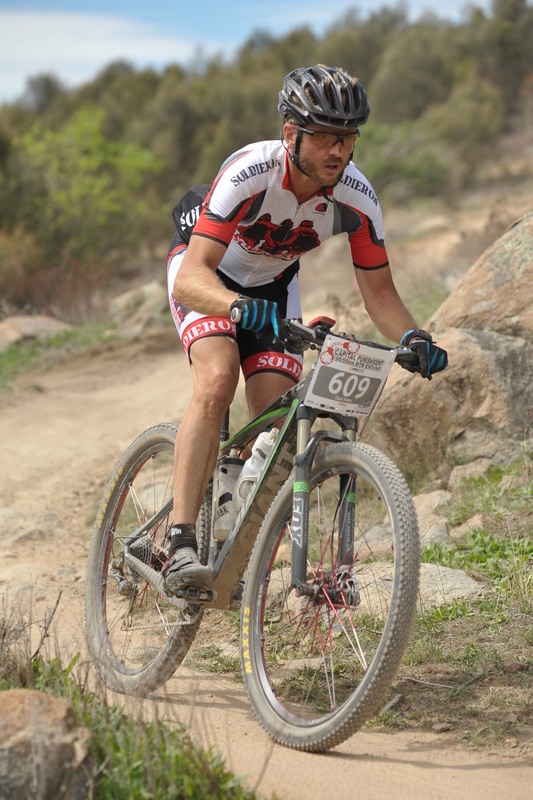 I rode my own race and only felt fatigued in the last 10km when I had to stop for some explosive vomiting action before the final descent to the finish line. 3) Beat last year’s time – What is the point of racing the same event again if you don’t want to improve? So in the days leading up to the race I formulated my nutrition/hydration plan, prepped Kate the XTC and finally registered for the race the day before. Alas my excitement was replaced by a sense of WTF?! This year’s Capital Punishment was a little different to last years and indeed almost all other marathon races. Usually you choose which starting wave you want to begin in, turn up and start riding. The Cap organisers implemented a new seeding system that would allow you to nominate which starting wave you wanted to be in; but also required proof of a similar distance and time. Not an unreasonable request by any means and to be honest a real step forward in trying to combat over seeding. Last year I started in Wave 5 out of 9. I finished in just over six hours and caught the tail end of Wave 3. Not bad for my first ever 100km race, but during that race I had also stopped to help an injured rider for approximately 30 minutes. In most timed races there is a “Good Samaritan Clause” in which time spent helping an injured rider is taken off your overall time. No worries I thought, I sent an email off to the organisers and received a reply that this would be sorted in the coming weeks. Fast forward to 2014’s online registration and I self seeded in Wave 4 based on last year’s time and some of the enduros I had done in between. Eventually I was seeded in Wave 6, with 300+ other riders… WTF?! Indeed! So I lined up in the first few rows of the grid within the stupidly large wave and rolled across the start line. After a few kilometres of fast fire road the Speedy Gonzales’s of the group were huffing and puffing and dropping back; and then we entered the Kowen Forest single-track. 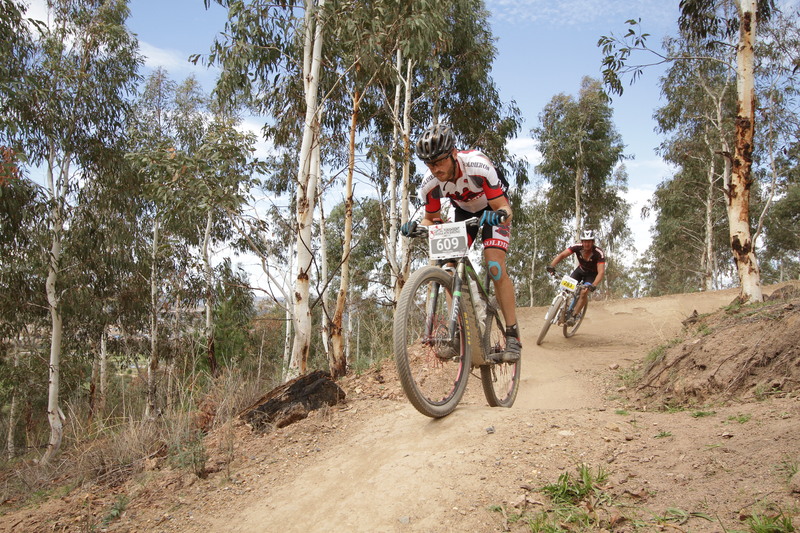 As always the Kowalski Brothers trails were in immaculate condition and daring every rider to push their limits. 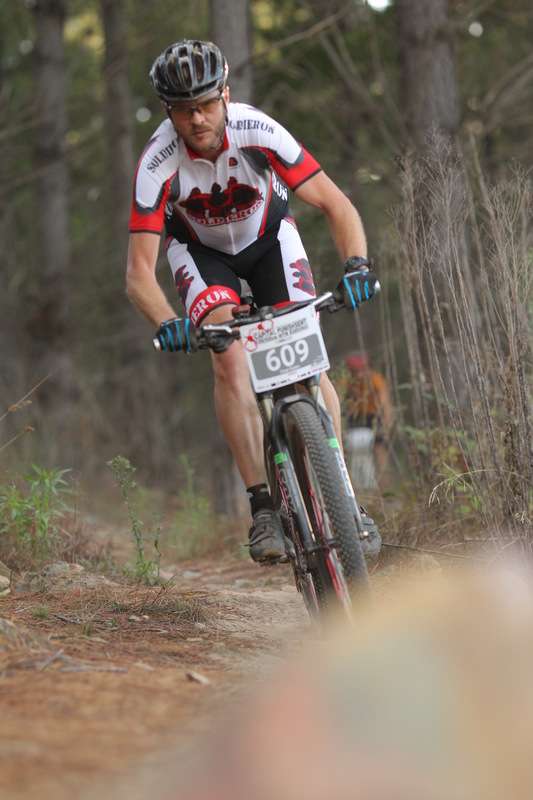 Kowen quickly transitioned into Sparrow Hill and I was riding my favourite trails in reverse; an amazing experience.
.:Start of the 2014 Capital Punishment 100km:. I had been riding for just under an hour by the time we went under the Kings Highway and back into Kowen Forest. By this stage my wave had well and truly spread out and it was obvious that the majority of us in the front group had been under seeded as we were already passing Wave 5 riders. As I rounded a corner just before Quadrophenia I misjudged my entry into a short bridge and watched as my XTC tumbled past me as I hit the dirt with my shoulder then my knee and finally my shoulder again. From crash to back on track I doubt I spent more than 30 seconds off the bike, but it was enough to wake me up and raise the heart rate. So with a sore shoulder, grazed forearm, grazed knee and a bruised ego; I set about reeling in the 5 or so riders that passed me after I crashed. It was at this point I could clearly hear my heavy breathing and heart rate blasting in my ears. My GPS was beeping at me as my heart rate had exceeded my ‘maximum’ of 180bpm and it was not dropping anytime soon. As I approached the 25km marker sign I looked down at my sweat covered and dust encrusted GPS and pressed the ‘PAGE’ button. Now all I could see was my elevation statistics, calories burned and the time. I looked ahead and attacked the group that passed me just as a fire road climb appeared. 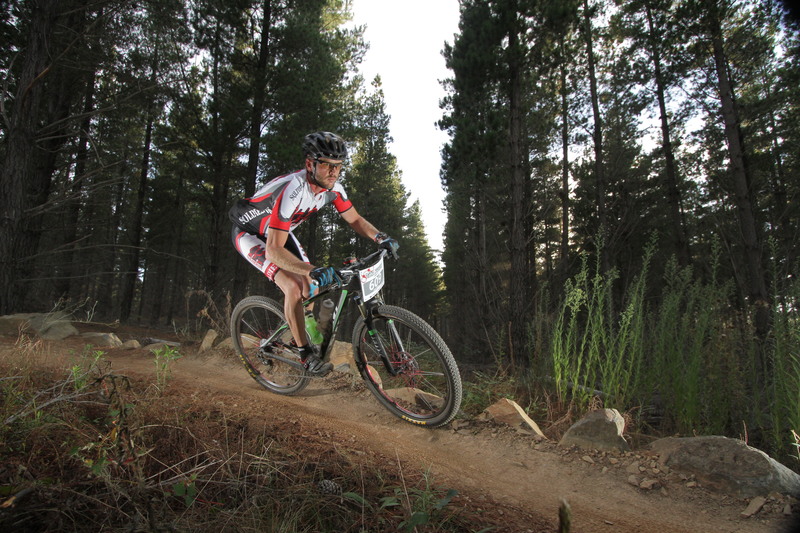 The next 20km’s was a blur of single-track, pine trees, fire road and climbs. It was on the climbs that I found I was passing riders with different coloured race plates to mine; riders that had started one or two waves in front of me, some of who had started 20 minutes before me. Clearly the seeding system was working fantastically! My annoyance was soon replaced with surprise as I saw the 40km feed station appear after a hill and I realised I was well and truly ahead of my planned time at this point. 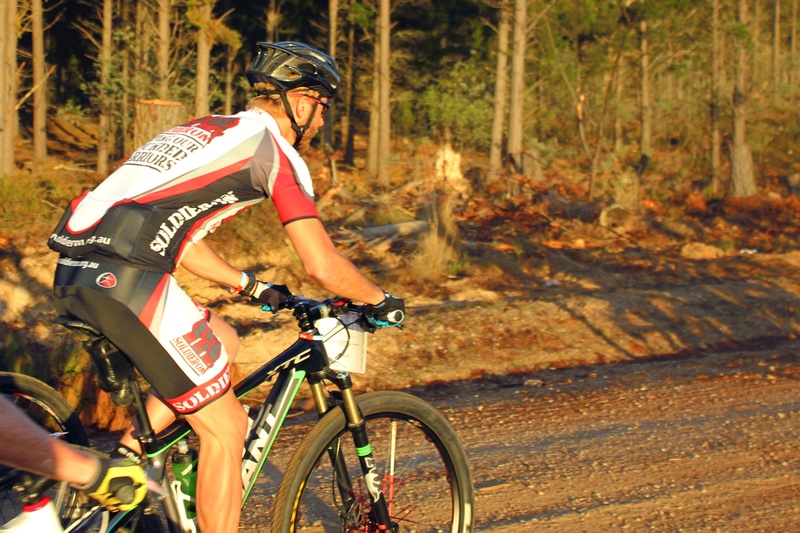 With the Sutton Forest section coming up with a few pinch climbs thrown in I knew I would be best served slowing to a comfortable pace and enjoying the race for the next several kilometres until I reached open fire road again. And this is exactly what I did until I reached the Majura Military Training Area. In hindsight I know I took it a little too easy on the Sutton Forest stretch but the fact I was able to walk without pain after the race tells me I made the right decision. I pushed out a little on the fire roads and soon found myself crossing Majura Road and running a gauntlet of heavy construction vehicles to get over Mt Majura and into the untimed section for a refuel and slight rest. By this stage last year I had walked two of the steeper pinch climbs in the Training Area and Mt Majura, this year I got out the saddle and pedalled my way up. 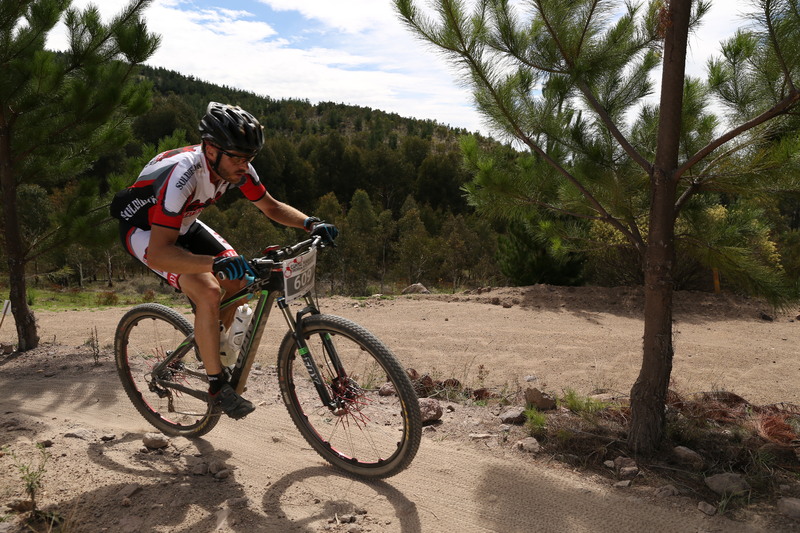 As I crossed the timing mat into the untimed section I was feeling pretty good but in dire need of a bottle change. I rode briskly through the suburbs into Dickson and stopped at the second feed station. Bermers Di, Ben and Maree were there with words of encouragement and after 15 minutes I turned around to see Bermer Alyssa pulling into the station behind me; wow, she was not mucking about! I headed off to the start of the Black Mountain section and stopped to take advantage of some of what remained of the 55 minutes of un-timed section to have a bite to eat, nature stop and psych myself up for the next 30km that would be comprised of a lot more climbing. Luckily I like climbing, I may not be the fastest climber but I have endurance and on long climbs I find I pass a lot of others that try to lead out early. Black Mountain was fun; tough climbs up and loose sketchy descents down. There was plenty of braking and skidding but by the time I was weaving through the cork plantation leading into the Arboretum I was still smiling. Immediately after the cork trees disappeared the climb that almost made me swear last year came into view. A long, loose and sometimes pinchy fire road that lead to a few shorter climbs. I decided to attack this climb; I don’t know why, but something in my legs told me to do it. I picked a gear and got out of the saddle and climbed. Last year I walked most of this hill and this year I wanted to own it; albeit in my own slow and steady way. The Arboretum was comprised of hot and dusty sections that lead into the Cotter Road tarmac section that took us into Mt Stromlo. Last year this small stretch was difficult for me, I was running on near empty and it was a huge struggle to get my dual suspension Anthem, Zooey, to maintain any momentum. The slow grinding climb this year was made slightly worse with a drive train that sounded like half of my bike was grinding against the bitumen. 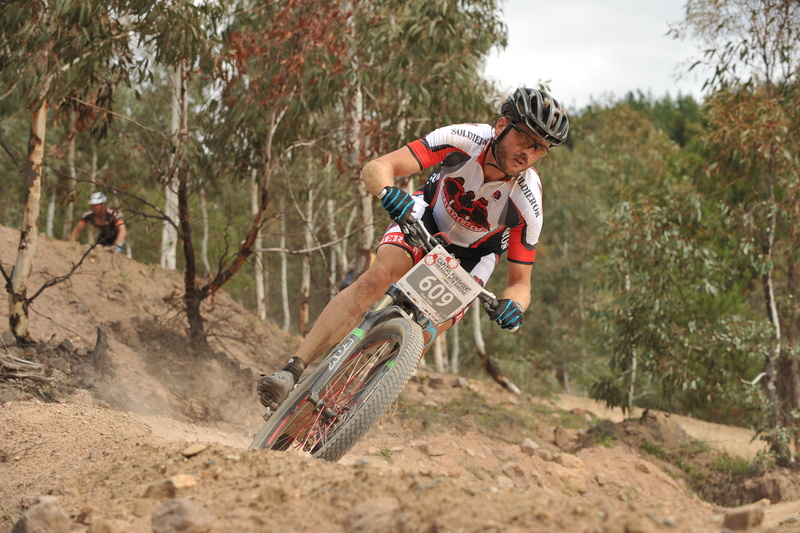 As I entered Mt Stromlo’s first section of single track signalling I was nearing the last 12km of the race, my bottom bracket decided to start making life extremely difficult for me by partially seizing up. The free flowing tracks of Holden’s Creek and Fenceline were quick despite the horrible grinding noise coming from my bike; but it made the next 7km ascending the mountain terrible. I had a choice of three gears in which my cranks would actually spin and allow me to continue moving forward. I was out of the saddle most of the climb and by the time I reached the start of the Western Wedgetail and the welcome descent down the mountain my quads were burning. I started the run home to the finish with a little tail whip (not my style but I figured why not) and hoped I wasn’t about to slow down any riders behind me. Skyline lead into Luge then Old Duffy’s Decent and finally the final stretch onto the crit track. I had been passed by one rider on Luge and decided I wasn’t going to let this Wave 4’er beat me (despite the fact he started the race a good 15min before me) and pedalled as fast as my body would let me. I bunny hopped the finish line and pulled up with a mean cramp in my left hamstring from the final sprint. I was met by my wife and the few Bermers that had started and finished before me. I was spent, but I was extremely happy; even more so when I found out I had finished under 5 hours. A huge thank you to my wife, the volunteers, fellow Bermers and the other riders for an amazing event. Great write up and solid controlled racing. Good stuff. Time for a new bottom bracket. Hate gear failure in races.